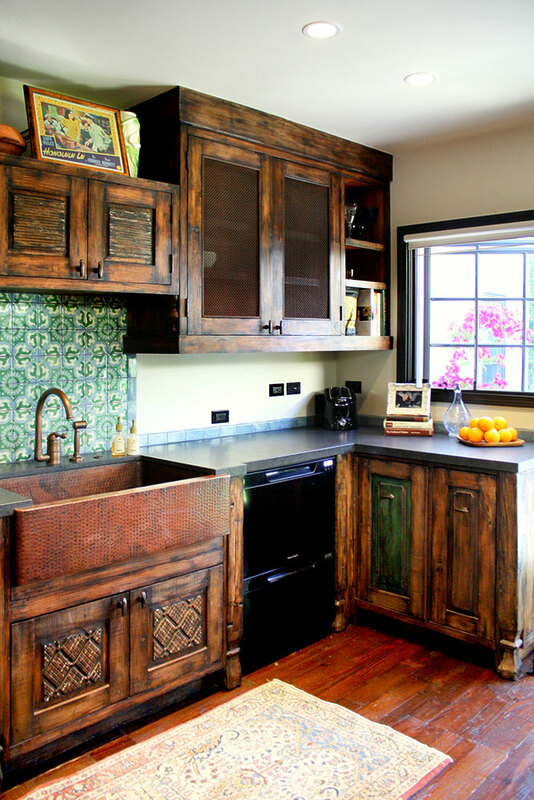 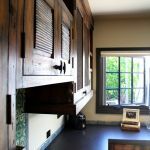 The antique carved panels incorporated into these custom kitchen cabinets feature green and white to complement the hand painted tile backsplash. 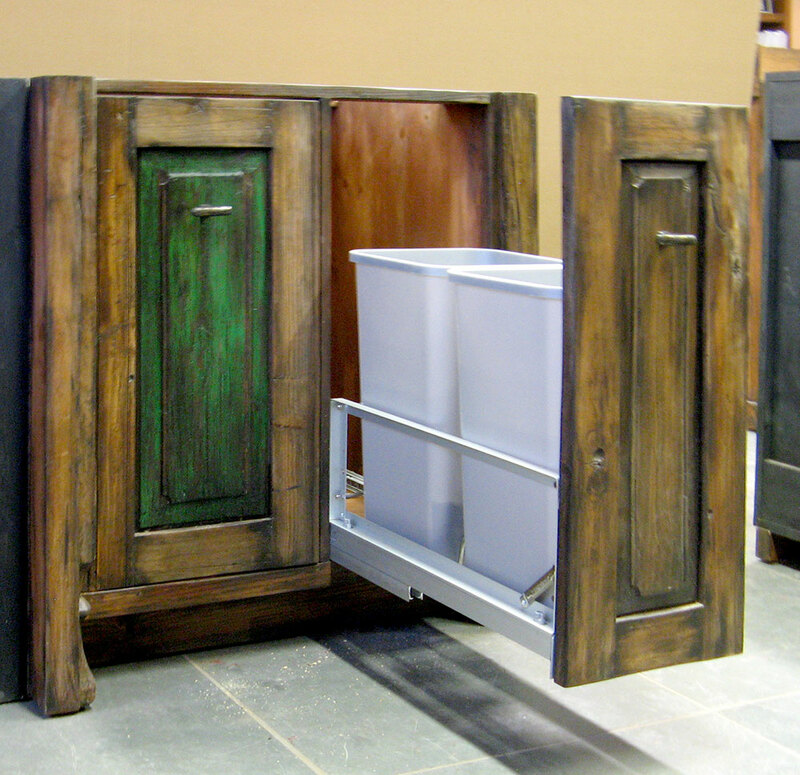 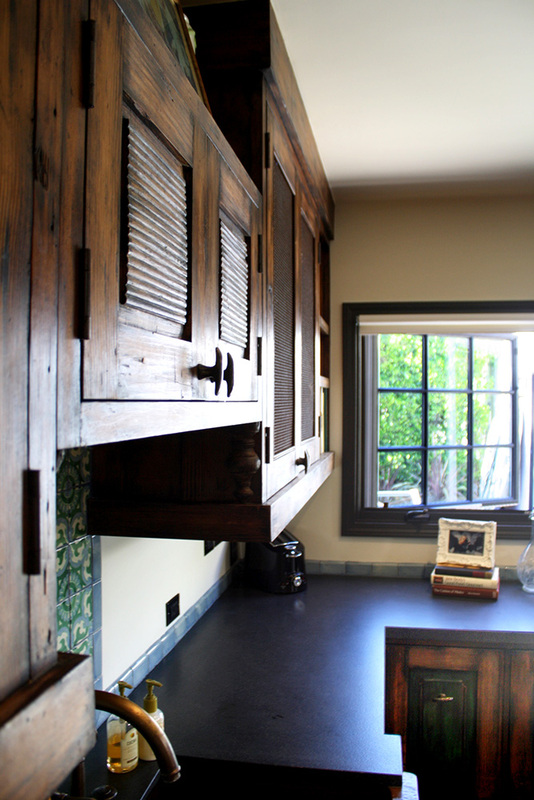 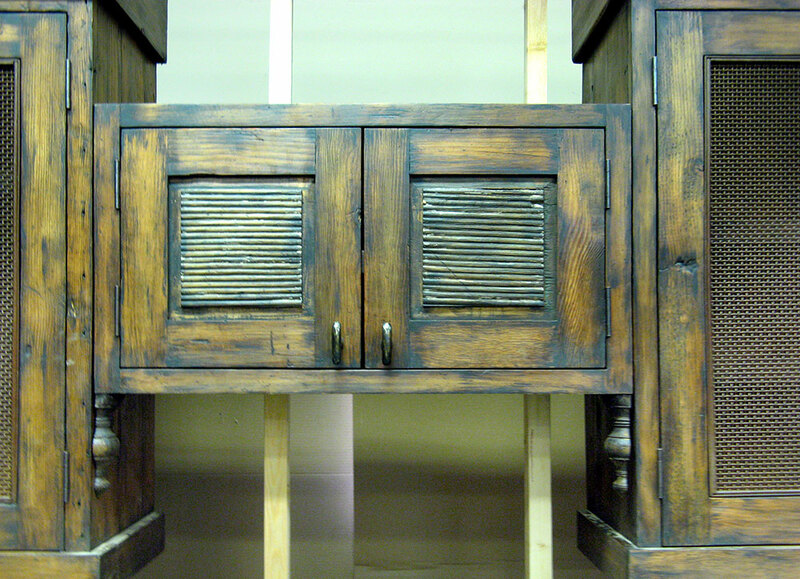 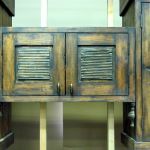 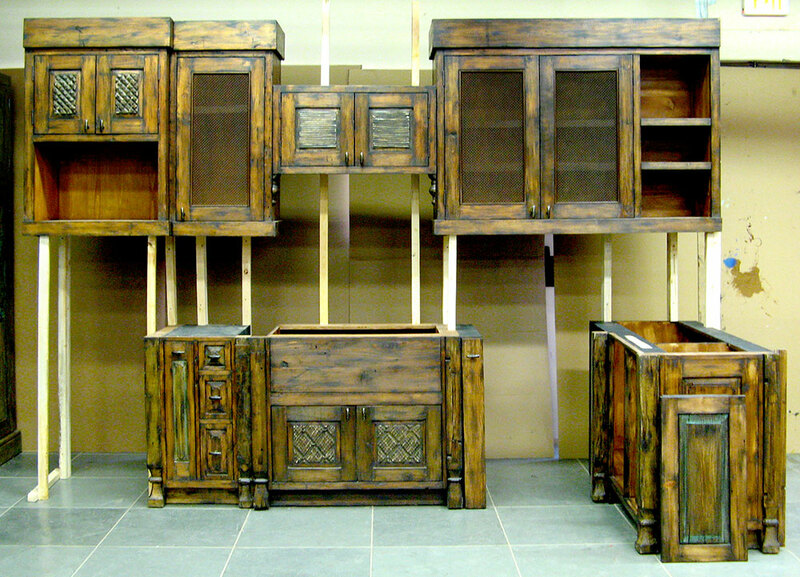 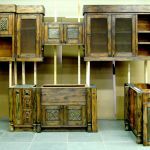 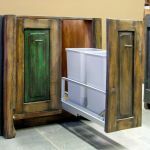 Detail photos, while a bit grainy, illustrate the customization and details of the individual cabinets. 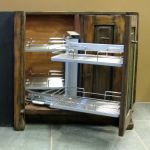 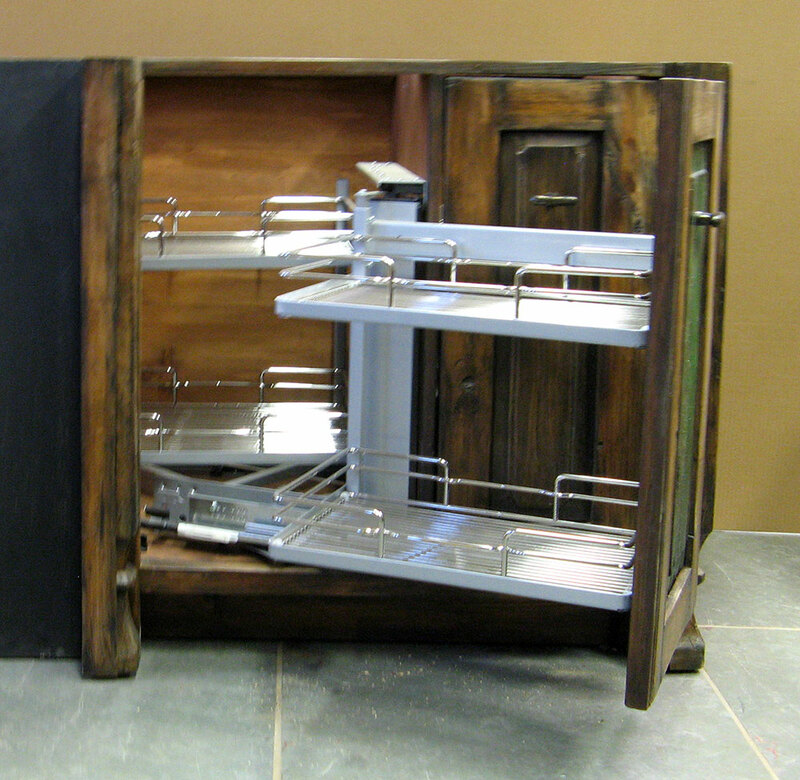 The pull-out insert uses the space usually lost in a corner cabinet.